Turn your gym floor into virtually any shape with our 4-sided hook and loop EnviroSafe gym mats. These mats are built to last, while giving gymnasts the cushion they deserve. Make the green choice. This semi-soft foam provides durability and safety for medium impact activities. 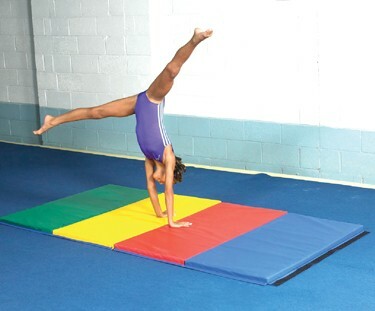 EnviroSafe gymnastics mats are perfect for your gymnastic club, school gymnasium or other athletic facility. They allow for easy handling and storage while not in use.